In my opinion, the most important part of a miniature is her face. When we paint the face we bring the miniature to life. There are a lot of methods to paint faces. 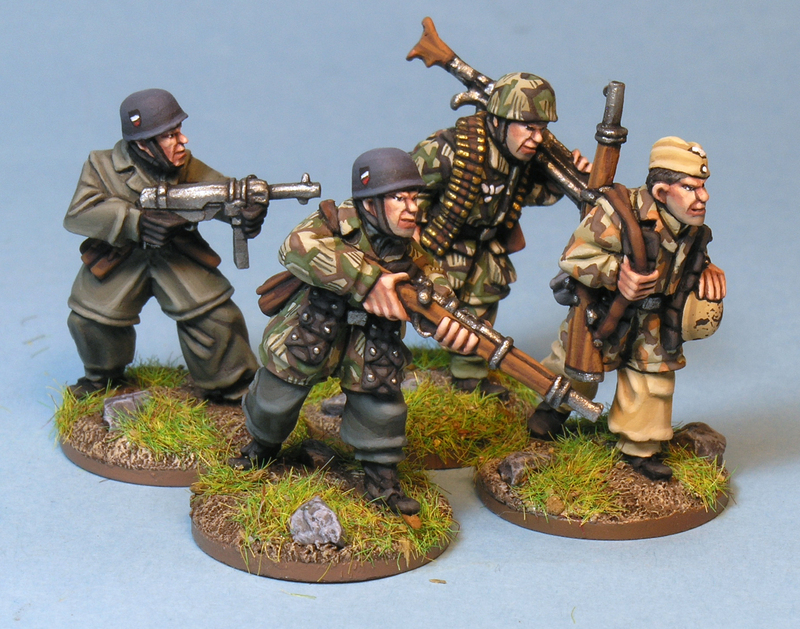 In this case, I want to show you how I paint them. We only need three colors: Tan 066 (Game Color, Vallejo), Dwarf skin 041 (Game Color, Vallejo) and White. Anyway, I prefer to paint the eyes before painting the face, because before it’s easier. Therefore, first we paint a small horizontal line in white color. And then, we paint a perpendicular one in black. Because we haven’t painted the face yet, we can paint this lines without fear. So, once eyes are painted, we start painting the skin with Tan 066. This color will be our shadows. Next, we apply several layers of hightlights by mixing Tan 066 with Dwarf Skin 041. I usually apply one or two lights, and then I use directly Dwarf skin. Anyway, note we have to use the paint a bit diluted!. It’s very important in order to achieve soft contrasts. Finally, we apply final lights by mixing Dwarf Skin 041 with white. I usually apply only two lights. And, if we are interested, we can simulate beard by mixing Dwarf skin 014 + grey, but we have to use the paints too diluted. But more importantly, where should we apply the lights?. I focus in only four parts: nose, jaws, eyebrows/forehead and cheek. I usually follow the shape of each part, but in the cheeks, I paint an inverted L: short arm below eyes and long arm beside the noise. 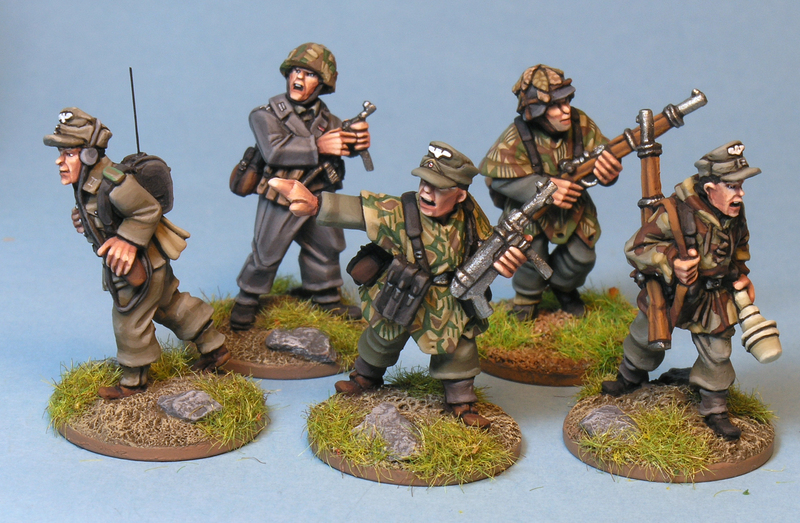 If you are interested, you can find more info about how to paint faces in 28mm in this monograph about WWII germans. What size brush did you use?